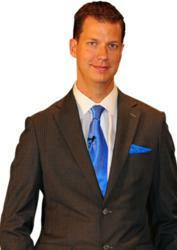 After Twitter beats out Facebook in Mobile Ad revenue, JT Foxx invites mobile users to follow him on Twitter. An eMarketer research report studying US mobile advertising concluded that Twitter made more from their mobile ad campaigns than Facebook did. According to the eMarketer projections, Twitter is expected to rake in $129.7 million where Facebook will make $79.7 million. As more and more people are using their mobile devices to get access to the internet, mobile advertisements have been a huge part of revenue for many internet based companies. As Twitter soars about Facebook in ad revenue, many wonder if this is connected to the frequency of use for the social networking sites. Although Twitter is popular, eMarketer still says that Facebook has more followers. With Twitter on the rise, perhaps the importance of businesses holding Twitter accounts may become more crucial. After the eMarketer research was released, JT Foxx announced that anyone using a mobile device should follow him on Twitter at @JTFoxx. Followers will receive updates on business related news and other events that JT Foxx is sponsoring, hosting, or attending. As Twitter becomes more and more important, JT Foxx encourages other businesses and entrepreneurs to get active on the Twitter community.